Film Thickness 75-80 Mic, Max. 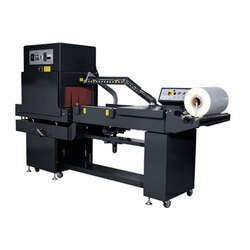 We are manufacturer and exporter of Automatic Shrink Wrapping Machine with Futuristic Technology and Advanced Automation. Having output speed of 8 to 9 Groups in a minute. Please do contact us for further information. We are leading supplier and manufacturer of automatic shrink wrapping machines and tunnels.From now on, the size of the products is no more a limit. Products of big and small dimensions and, most of all, of an unlimited length, could be packed thanks to the exclusive independent sealing bar system, which overcomes the now old concept of "unique L-loom". 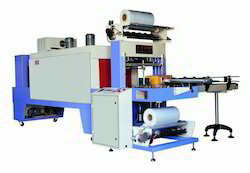 With years of formidable experience and use of cutting-edge technology, SB MAchines Shrink System presents its world-class collection of automatic shrink wrapping machines, which are extremely used for packaging a variety of consumer and industrial products with shrinkwrap or shrink film. 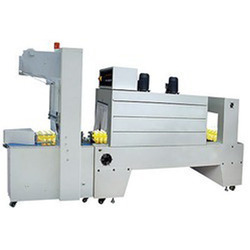 Our collection of automatic and semi-automatic shrink wrapping machines find application in different industries like food & beverage, confectionery, cosmetics, household goods, pharmaceutical, electrical and many more. 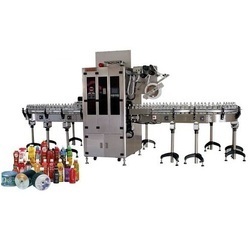 These machines also support the demands of applications involving plastic forming, UV bacteria killing, fixed quantity filling, date printing as well as automatic sealing and cutting. 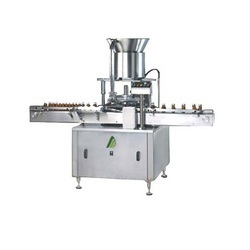 Further, the sealing temperature delivered is based on the automatic control that ensures a steady and beautiful packaging provided to the product. Conveyor Drive: 1 H.P Variable Speed Drive, A.C Drive. Heater: 12 K.W Open type Porcelain heaters for better efficiency and Faster heating. Hot Air Blower: High velocity. Insulation: double class, Padded Glass Wool insulation for better heat insulation. M.O.C: In Mild Steel duly Powder Coated/ Stainless Steel. We are manufacturing and exporting Shrink Wrapping Packaging Machines and exporting the same to different countries of the world. We have both Semi Automatic as well as Automatic Models available in this Machine. We would like to request you to kindly contact us for further information about the products. 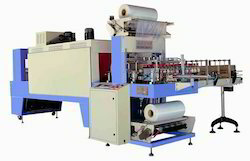 We are manufacturing Semi Automatic Shrink Wrapping Machine for Packaging of Bottles as well as other containers. 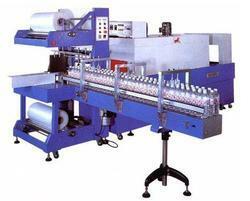 We are manufacturing Semi Automatic Shrink Wrapping Machine for Wrapping of Bulk Bottles. We have supplied this machine to Nigeria, Pakistan, Uganda, Malaysia, South Africa, Middle East Countries and South East Asian Countries. We would like to request you to please contact us for further information about our machines. We are manufacturing Shrink Wrapping Machine for Group Packaging of Bottles which is having out our speed of 8 to 12 Groups per minutes.